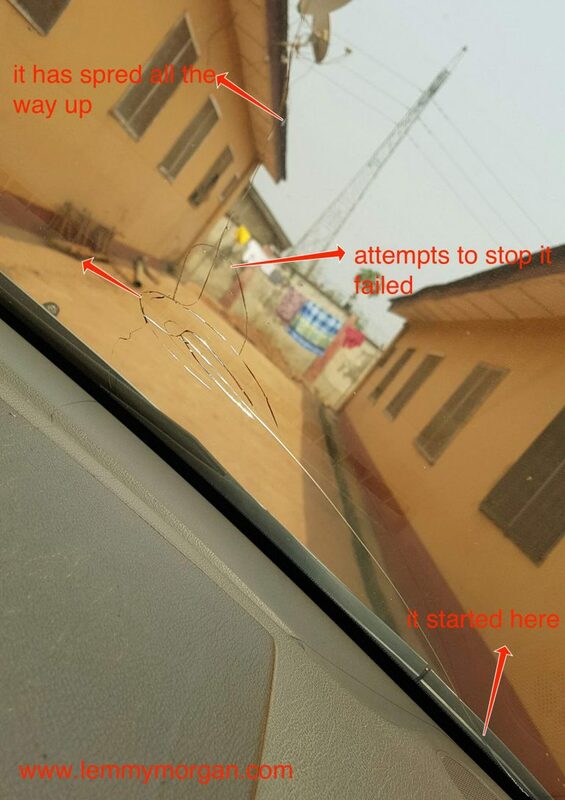 While we have various vehicles windshield/windscreen cracks, our focus on this topic will be on Vehicle’s Windshield Stress Crack. This has always been an unwanted phenomenon especially in areas where we have a very hot climate like Africa. Today, I shall be talking about the avoidable but difficult to repair stress crack. To understand this very well, I will list some types of crack that can affect your vehicle’s windshield. Unfortunately, other types of cracks might be unavoidable but stress cracks are 100% avoidable. Suffice to say it that, stress cracks are also more common than other types. What is a Vehicle’s Windshield Stress Crack? What Factors Causes a Vehicle’s Windshield Stress Crack? Can a Vehicle’s Windshield Stress Crack be Repaired? How can I Prevent a Future Windshield Stress Crack? Circular ding, with a cone in the outer layer of glass. A half-moon crack is similar, but not completely circular. Chip: Damage by a rock that causes a small piece of glass to break off the windshield. Floater crack: Less common than an edge crack is the floater crack, which is caused by severe temperature changes (especially cold temperatures) to stone breaks. Stress cracks will normally be a straight (or slightly bending) line, and will not have any sign of impact. A “pen test” is often used to determine if there is a stress crack. To perform this test, you need to run a ballpoint pen along the crack, and if it dips anywhere, it is not a stress crack. The most common cause of a windshield stress crack is a large variation in temperature. For example, this can occur if your car has been sitting in the hot sun all day and then you blast the AC with all the windows wound up. Furthermore, and still on the effect of large variations in temperature; If your car will be parked in the sun for hours, please make sure you wind down the windows a bit. Don’t wind it down all the way if you suspect a break-in. Remember that pilferers can take advantage of this and make away with your sure nothing valuables. It will be the best practice if you park it where there are people who can help you watch over it). 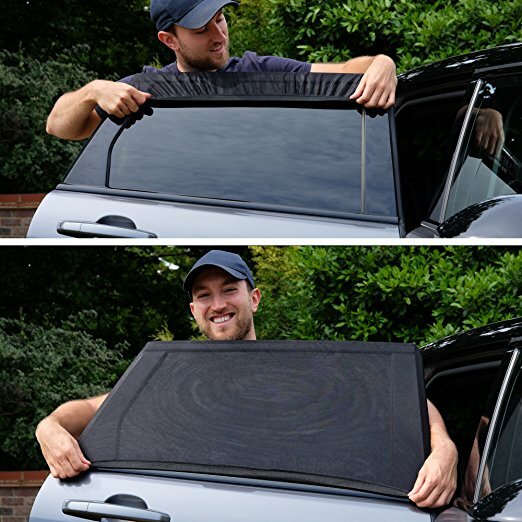 By doing this, you are preventing hot air from been trapped inside of the car. Another cause is; when a vehicle becomes overheated from sitting in the sun, and you now start washing the car with cold water. this will eventually result in stress crack and subsequent damage to your paint job. Please warn those who wash your car about this. The car must cool off before washing. Do not wash in direct sunlight for whatever reasons. The opposite example would be a very cold car suddenly being exposed to heat. This is why, in the winter, ice should be scrapped or melted off the windshield with cold water, but never with warm or hot water. The answer is yes and no. If the mark /crack is not more than 6 inches long, it is repairable but if it is larger, it is not a candidate for repair. I have personally repaired between 2 to 4 inches long stress cracks using some resins bought on Amazon. Stress cracks typically start from the edge of the windshield, and they can quickly become quite large. These two factors combine, make most stress cracks irreparable. In general, if a windshield crack emanates from the edge of the windshield (as is common with stress cracks), is in the driver’s line of vision, exceeds a certain length, or is contaminated with debris, the crack is irreparable. The windshield repair process involves drilling into a crack and filling it with a resin that hardens within the crack. The goal is to stabilize the crack and prevent it from spreading. This is similar to having a dentist fill a cavity in your tooth. 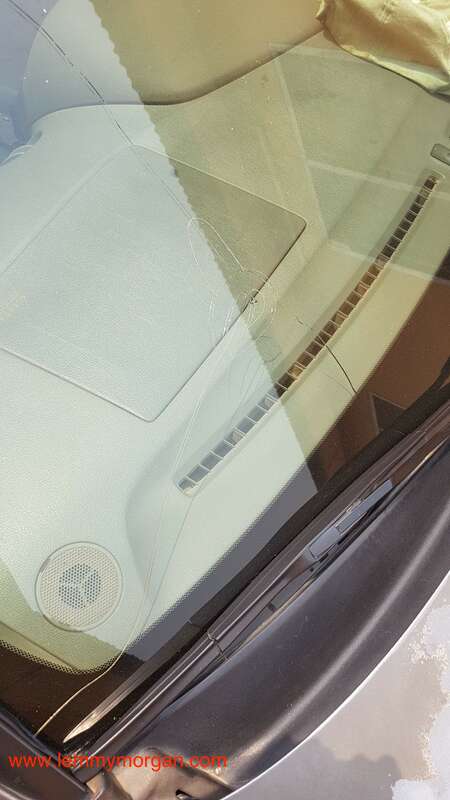 However, even if a crack is not in the driver’s line of vision, if it’s near the edge of the glass, it may not be repairable because suction device used to repair cracks needs sufficient space and a good seal. In a situation that I witnessed(you can confirm this from my pictures above) local glass cutters tried to stop my stress crack. What they did was to put a deep mark and the end of the crack. Unfortunately, they ended up making it worse. I would have been luckier had I acted early enough. So, please be warned, stress crack is difficult to repair when not detected early enough. By parking your car in a garage or other temperature-controlled environment(I mean a shaded garage). Leaving your car out in the sun or in the cold tends to make the edges of the glass more brittle. 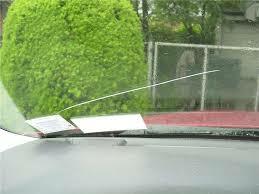 Secondly, If you notice a crack or ding in your windshield, have it looked at immediately! The longer you wait, the more damage you are in for. I can personally help you with a cheap repair if detected early enough. If you cannot help but park your can in the hot sun all day, please wind the windows down a bit to allow free passage of hot air. Obviously, original car covers are more expensive than car shades. However, there functions also differs. 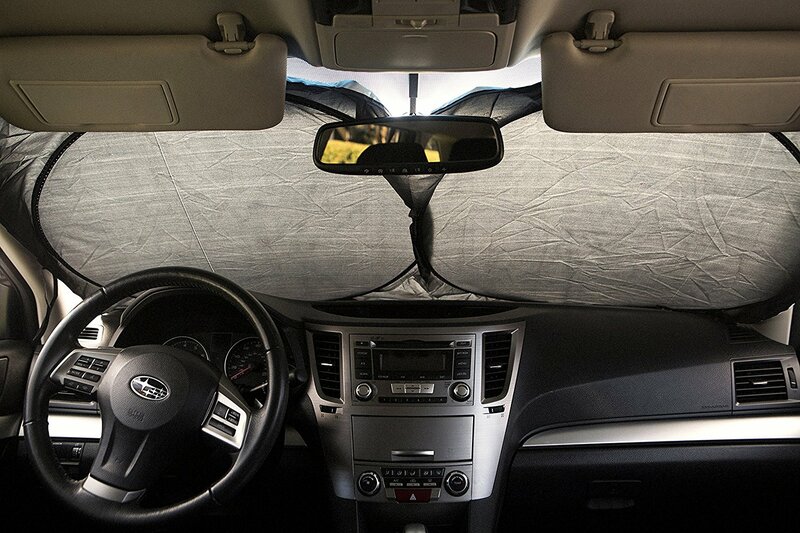 To prevent a Vehicle’s Windshield Stress Crack from occurring, you are not advised to use sunshades alone as it tends to protect more of the interior than the exterior. When you are using a sunshade, you still need to wind down your window a bit. 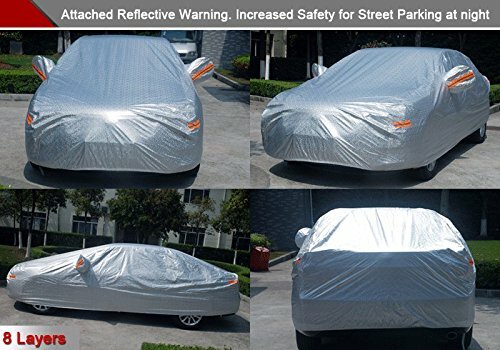 As for car cover, you can use it alone as full-time protection against UV rays, dust, sun and rain.